You can visit this page to find out the status of your order or to check if your order has been delivered already. Please have the following information ready: Order Confirmation Number – it can be found in your Confirmation Email, which has been sent to you right after the order has been completed. If there are any questions you may have regarding your order don’t hesitate to contact our Customer Service Support: 020 3409 3030 or (+44 20 3409 3030 if you are calling outside the UK). Find out the status of your order every step of the way. 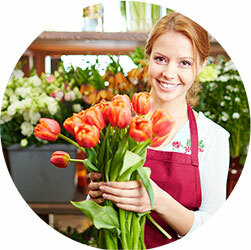 Our florists will update your order so you are well informed and aware of how your flowers are coming along. The recipient is not in? 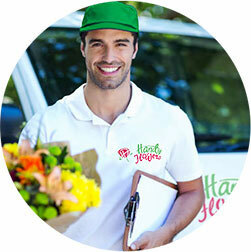 If this is the case our couriers can drop off the flowers with a neighbor, at the front or back door, porch or wherever you have requested upon ordering. Orders will be updated once they are delivered. During certain times of the year (Mother’s Day, Valentine’s Day, Christmas, Easter etc.) 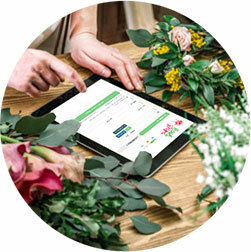 our florists may be busier than normal, therefore order updates following delivery may take a bit longer than usual.